Plumed cockscomb (Celosia argentea var. plumosa): growing, planting, caring. A tropical perennial, grown as a annual in gardens, for its long-lasting flowers. 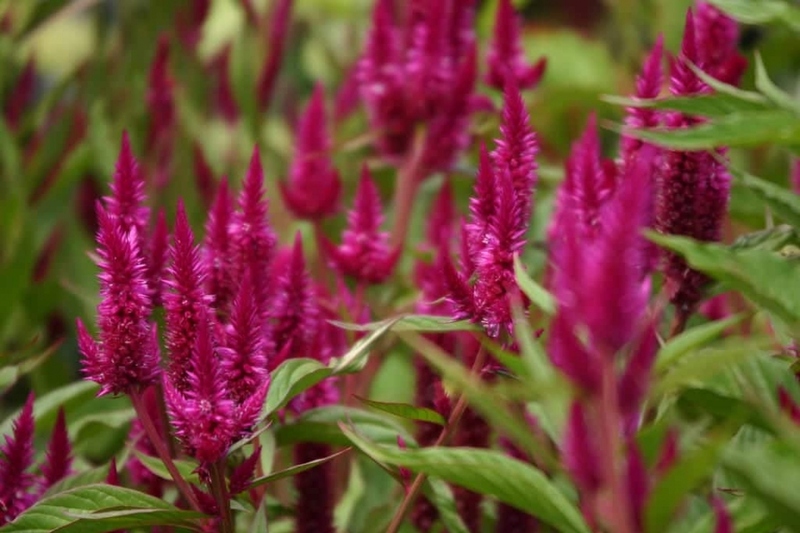 Celosia argentea, - the plumed cockscomb or feathery amaranth - is a herbaceous in the family Amaranthaceae of tropical origin, often grown in gardens, and considered a weed in India and Japan. It is an annual growing to 0-5-1 meter tall, with dark green coarse leaves with apparent ribs, and bright and colorful flowers. Sow the woolflowers between 16 to 20 ° C, during the month of March, in a box, or directly in some scoops because it does not like to be transplanted. Keep the substrate moist in a well-lit room. After emergence 10 to 15 days after sowing, thin out if plants are too dense. The seedlings sown in buckets are ready to be transplanted as soon as the plant reaches 10 to 15 cm in height, about two months after sowing, and of course after the last frosts. Plant woolflowers in full sun in a well-drained soil, rich in humus, remaining fresh or in partial shade, in finely worked culture beds (spotted, scratched then raked). Once the area is properly prepared, simply make a small hole in the dibble, remove the plant from its bucket, put it in the hole, and compact the soil to put it in contact with the roots. Install the seedlings at a distance of 30 centimeters from each other, in all directions. Water copiously to facilitate rooting. In pots, you can make a regular supply of flower fertilizer about once a month during the flowering period. 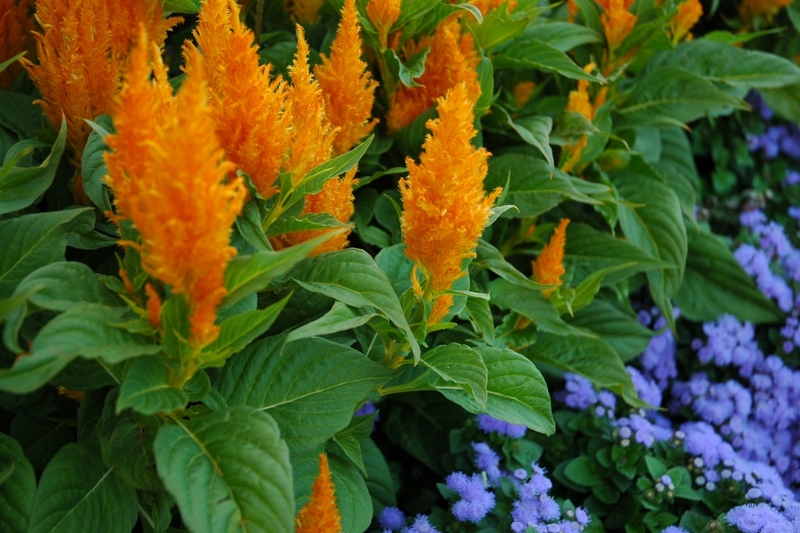 Celosia enjoys frequent watering, especially from July to October. Water seedlings gently, in fine mist, and be careful not to drown them (make sure you use drilled pots). Once well developed, the plants will withstand the use of a watering jet or a watering can, morning or evening. Mulch between the plants a week or two after transplanting, using dried leaves or wood chips (or any other moisture-conserving mulch). This will limit evaporation from the soil, and thus the need to water and to weed. You can multiply your woolflowers by sowing harvested seeds. Seeds (black, small as pinheads and shiny) are harvested as soon as an inflorescence has faded: shake the dried flower on a newspaper or a hollow dish. Keep the collected seeds away from moisture in a sealed bag or container. It seems silly to say, but annuals such as celosia should be removed at the end of the season! For plants with superficial rooting, simply pull on it, with the help of a tool. In the fall, bring your pots inside as soon as temperatures drop below 10 ° C to store at equal or higher temperatures, in the light. You will water less often, keeping the substrate slightly moist. 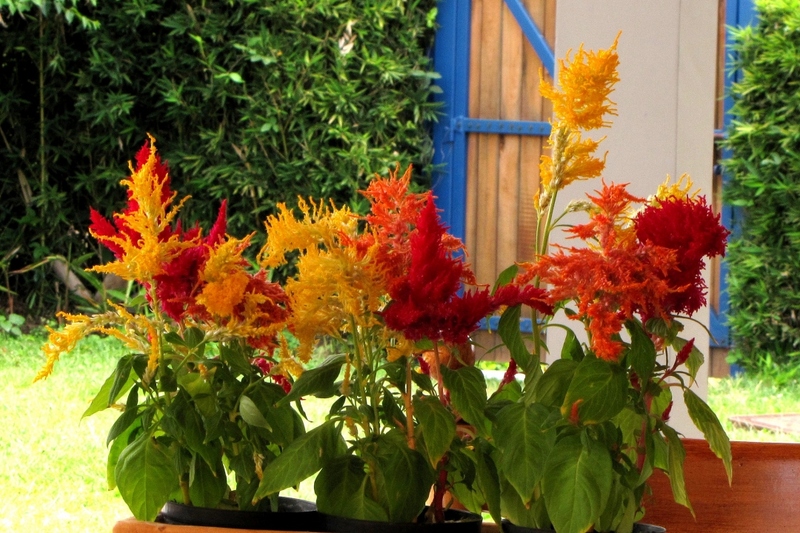 Take out your woolflowers in pots as soon as the temperatures become quite mild - around 10 °C!